Savor the just-right balance of sweet and tart in this sugar free, gluten-free mix. Use as a pie filling or serve on its own as a mousse. 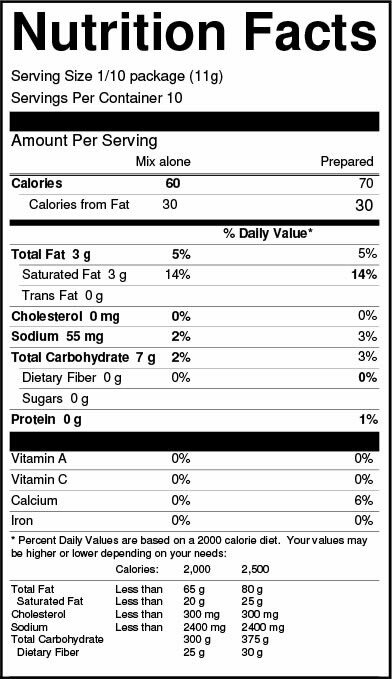 Pour 2 cups (16 fluid ounces) of very cold skim milk into a mixing bowl. 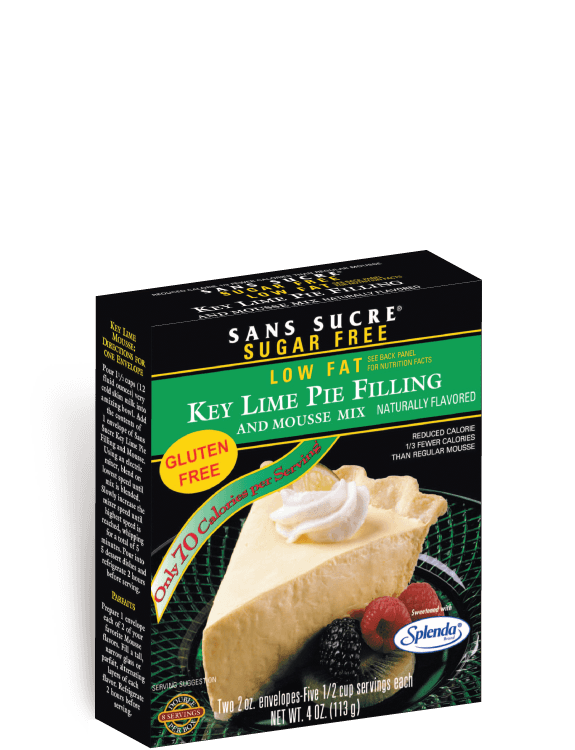 Add the contents of 2 envelopes of Sans Sucre Key Lime Pie Filling. Using an electric mixer, blend on lowest speed until mix is blended. Slowly increase the mixer speed until highest speed is reached, whipping for a total of 5 minutes. Pour into a 9-inch prepared pie crust and refrigerate 2 hours before serving.